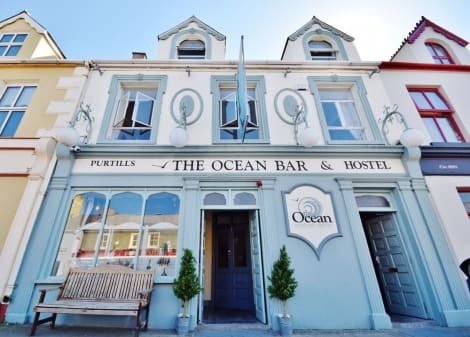 This charming hotel can be found in Ballybunion. Nestled within 2. 5 kilometre(s) from the town centre, the property allows easy access to all this destination has to offer. Visitors can find the nearest golf course within 350 metres from the establishment. The property features a beachfront location. Visitors will enjoy a peaceful and calm stay at Teach de Broc as it counts with a total of 14 accommodation units. Those staying at this establishment may keep updated thanks to the Wi-Fi access. Pets are not allowed at this accommodation. Travellers may take advantage of the car park. Additional fees may apply for some services. lastminute.com has a fantastic range of hotels in Ballybunion, with everything from cheap hotels to luxurious five star accommodation available. We like to live up to our last minute name so remember you can book any one of our excellent Ballybunion hotels up until midnight and stay the same night.